Easy to Inflate/ Deflate & Store. You can keep it in your living room for those special kids who visit you home they will become very happy to find a special chair just for them. Kids go crazy for it !!! They really love siting on a Bear. You can even keep it in your Kids room it adds to the beauty of the room. 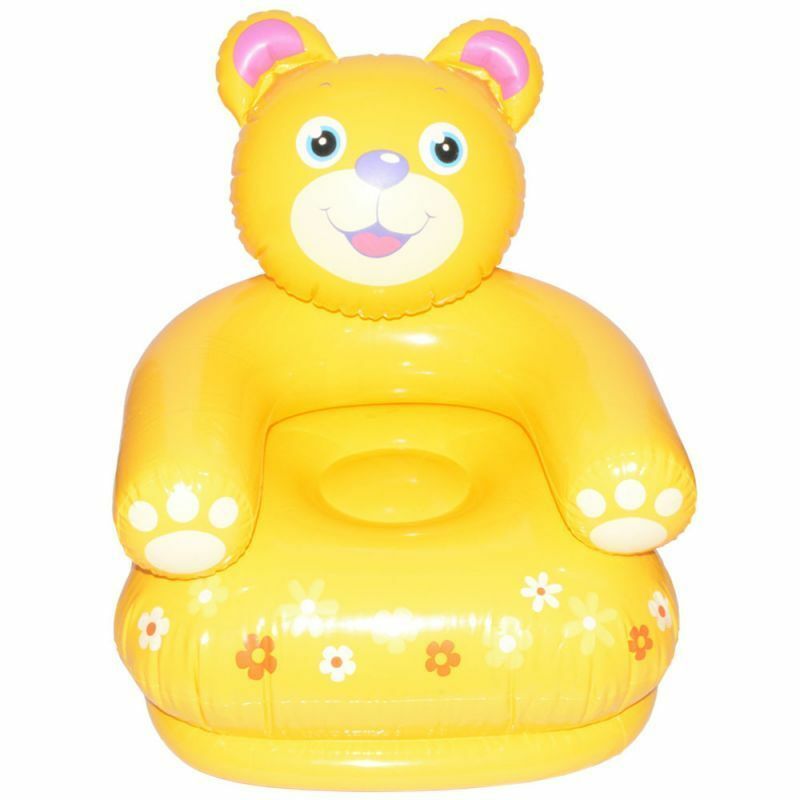 It is Ideal for children between 3 Years to 8 Years. Weight Capacity: 132 lbs(60kg) . It is easy to wash High quality plastic sheet. It is very comfortable to sit on it.